3122 is a specialist performance, polyethylene coated waterproof cloth tape, coated with a pressure sensitive adhesive and specifically designed to meet the stringent technical requirements of the defence industry specification DEF STAN 81/25-4.3122 is available in black and yellow. 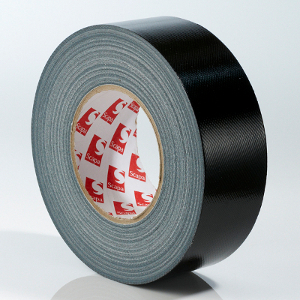 Designed as a heavy duty and export (including tropical climates) waterproof cloth tape for sealing, bundling, masking and protecting. Masking during painting and shotblasting. Military applications including sealing ammunition cases and temporary repairs. Heavy duty splicing, joining and sealing applications. Low Sulphur and halogen content. Service temperature -30 °C to +70 °. Packaging: Scapa branded, bulk packed using interleaving sheets between layers. Note: Information on stock items, non-standard sizes, and lead times is available on request. The rolls should be stored flat on their cut edges in the original packaging, until required for use. The product must be protected from dust, heat, moisture, direct sunlight and solvent fumes. Shelf life will vary with conditions of use and is affected by climatic environment, but should not be less than two years from date of manufacture, if stored in a moderate climate and good conditions.